Kay made some wonderful tops for me to quilt! 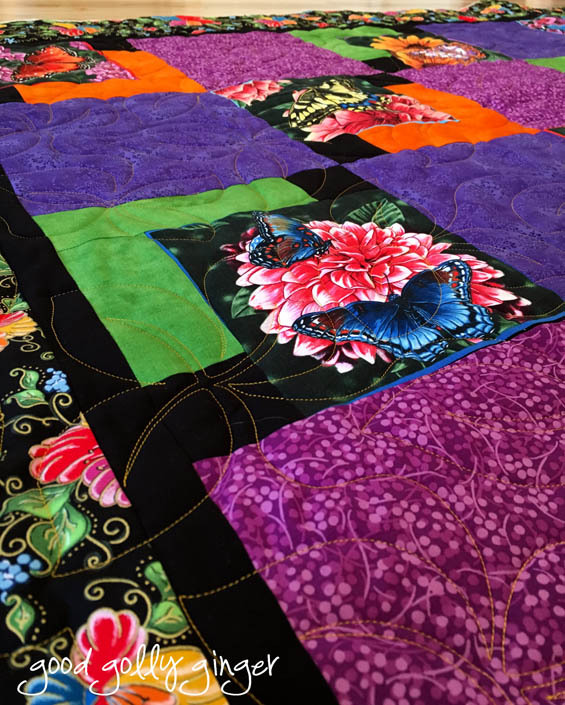 This bright butterfly quilt has touches of gold in the border. So, we decided that it needed to be quilted in gold thread. 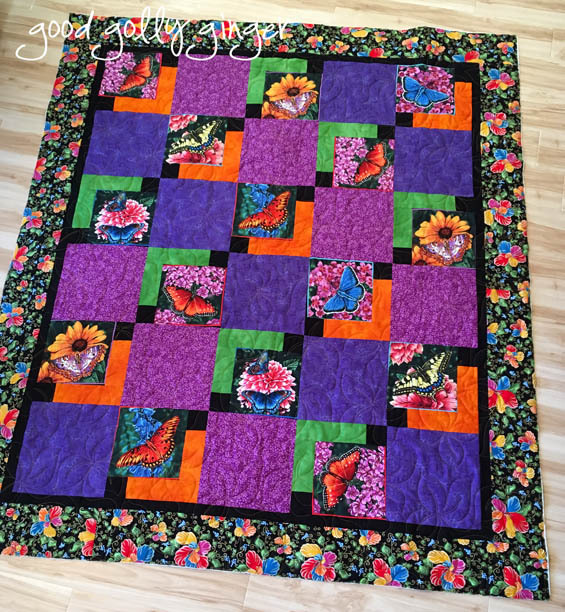 A simple all-over leaf pattern works beautifully with the flowers and butterflies. I loved this baby quilt she brought to me. 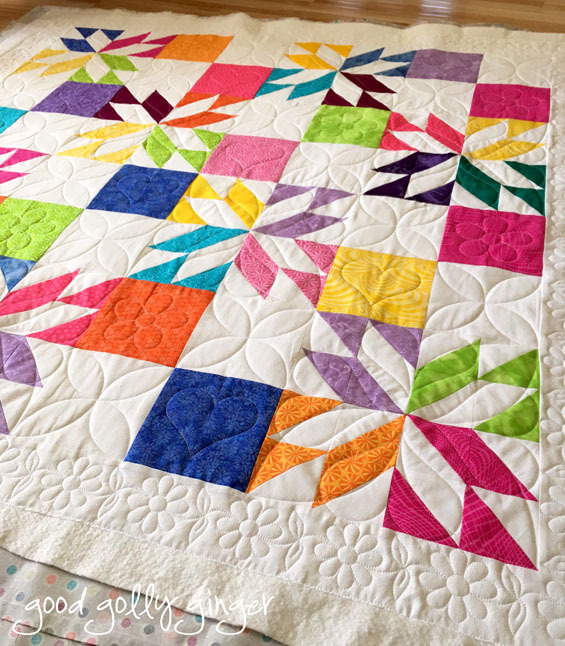 I custom quilted this one, and I especially adore the daisy border. 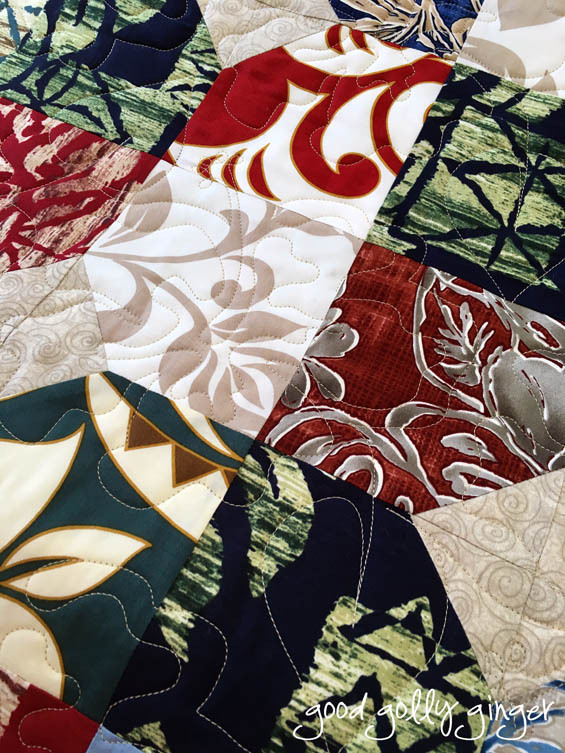 Kay used fantastic batik colors in her next quilt. 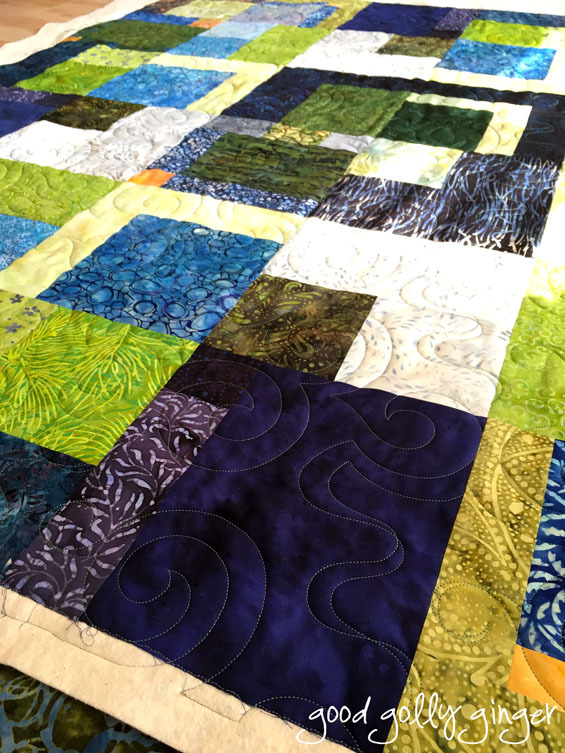 I decided to use an ocean quilting design with all-over spirals and tendrils that remind me of seaweed. 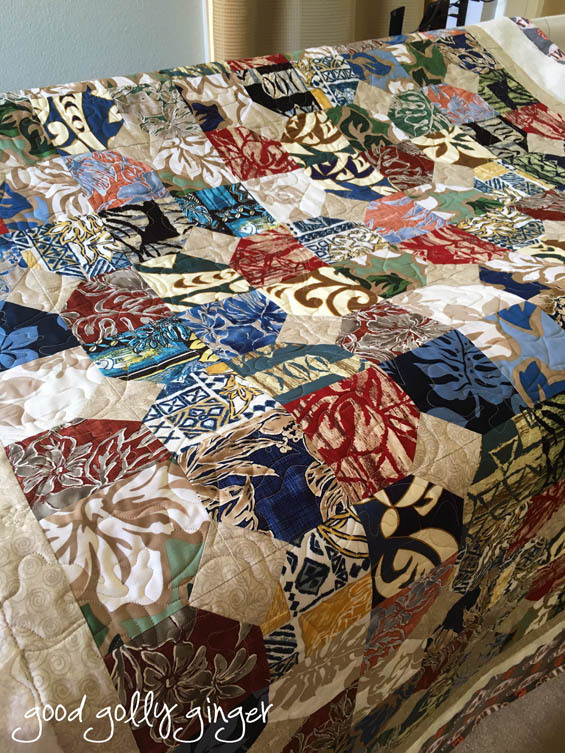 Her last quilt she brought to me was this spectacular Hawaiian quilt. I quilted this on with an all-over hibiscus design in taupe thread. 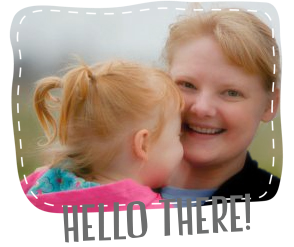 Thank you so much for letting me quilt for you, Kay! It's always a pleasure!